Sometimes hotels get a little boring, the experiences can be a little similar and you just fancy something a little bit different from your holiday. 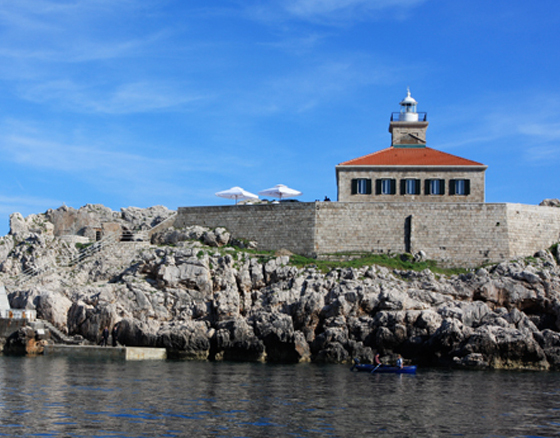 So, when I found out about the beautiful Grebeni Lighthouse just off the coast by the Dubrovnik Palace, I booked myself in. Recently opened (summer of 2010), the lighthouse sleeps 6-8 people comfortably, has a private kitchen and BBQ facilities so you can cook for yourselves if the mainland doesn’t appeal, but chefs from the hotel will come over to cook for you and your guests if you should so choose. The terraces at the front and back are perfect for al fresco dining and the sea below offers the perfect alternative to a pool – as well as the perfect place to snorkel to your heart’s content. 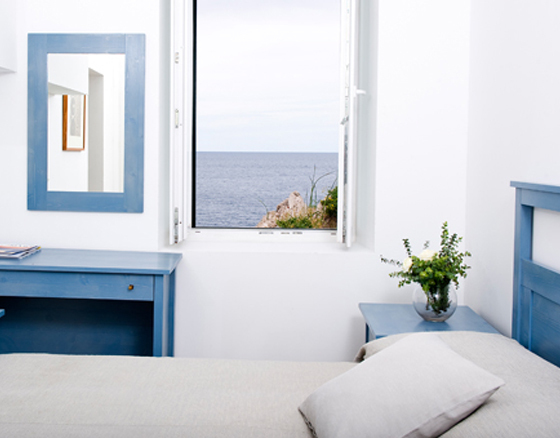 If you are thinking that staying in the middle of the ocean might be a little remote, rest assured The Dubrovnik Palace will save you if you want to come to shore. The 24/7 boat service to and from The Lighthouse means you can get the best of both worlds – or order room service if you don’t feel like cooking. And, if you want to head over to the mainland to dine at the hotel or in the Old Town, the boat is merely minutes away so you can feel as close or remote as you want to. The best bit is that the introductory rates for The Lighthouse are really reasonable so get booking!